Neville is an independent Australian country recording artist based in Newcastle, New South Wales. Neville’s unique singing and song writing ability sits easily between traditional Australian and American country narrative ballad styles. His connection to the bush and the outback Australian life is undeniable, as is his preference for traditional country music. His laconic and deceptively easy, laid back style draws you into the experience of the song as he shares his keen observation of life and emotions. 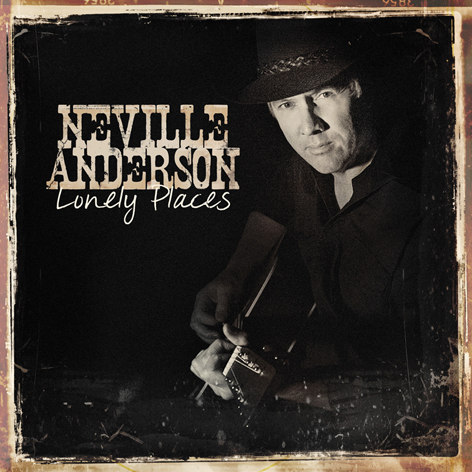 Neville has just released his latest album, Lonely Places, featuring his latest songs Nothin’ Takes You Off My Mind, Fake It ‘Till I Make It, and Sorrow. “Neville Anderson is a guitar, a good story and a voice as country as stirrup irons. His songs will take you to the heart of Australia, the hands of a good old horseman, the dust of the Tex-Mex border, the loneliness of heartbreak and the cold comfort of a bottle. His new album ‘Lonely Places’ produced by Bill Chambers will sit right at home on the stereo of any true country music fan and just like a good hat, you’re going to want to put it on again and again.